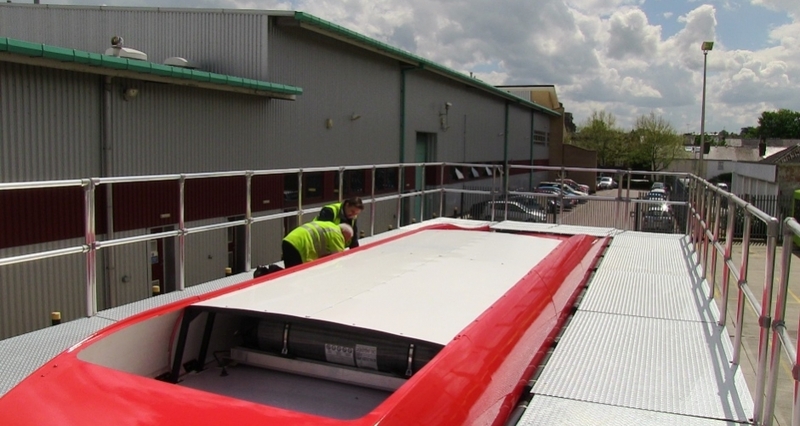 Kee Safety has supplied Reading Transport with a bespoke access platform to facilitate maintenance of their new fleet of gas powered buses. 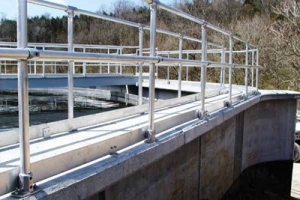 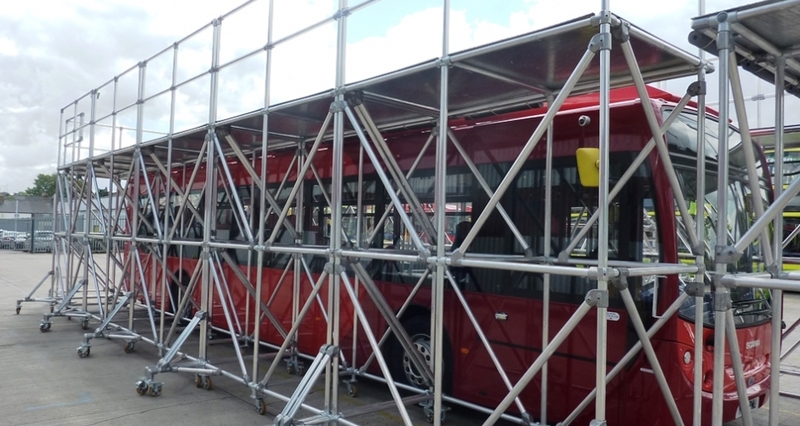 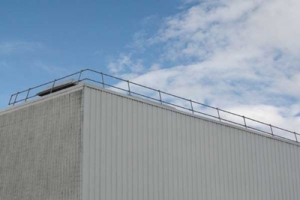 The platform, constructed using our KEE LITE and KEE KLAMP fittings was designed to allow the amiantenance teams safe access to the gas cylinders housed on the top of the bus. 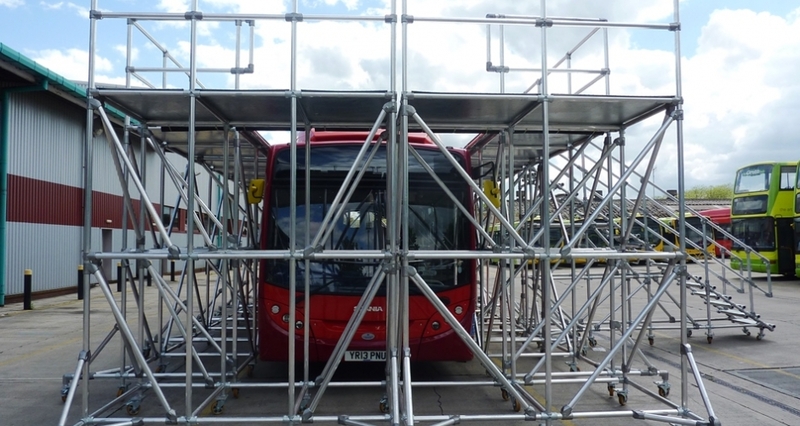 The entire structure was made up of smaller separate platforms that link together around the work area, giving Reading Transport the flexibility to part erect/customise the platform for other bus/work areas around the site. 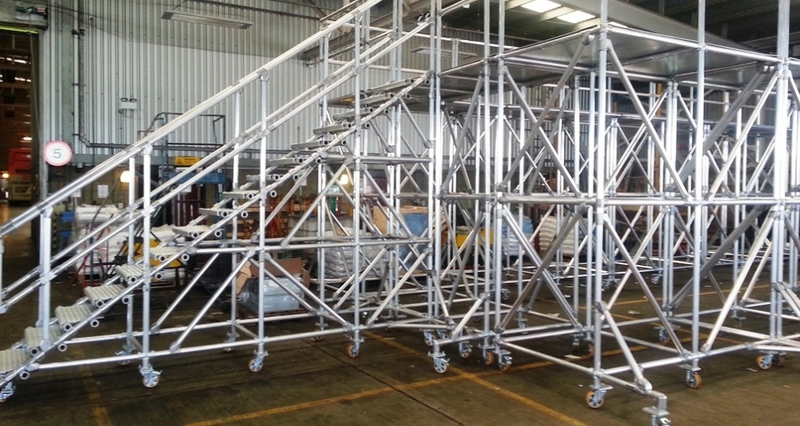 A short video of the platform being positioned for use is available in the videos section of this website.